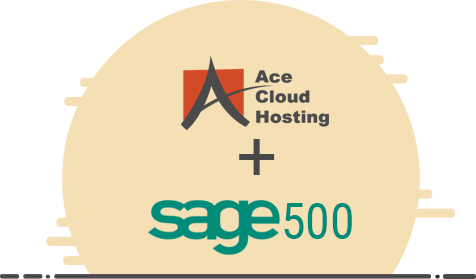 Ace Cloud Hosting brings more than a decade of cloud expertise to add more value and features to your Sage 500 accounting software. Along with the simplicity of accessing the application remotely, all the stakeholders in your business can collaborate to work in real-time even when they are using devices with different OS. Along with that enhanced efficiency of the team, your business data is secured using multiple layers of security methods, such as end-to-end encryption, IDS, IPS, and more. 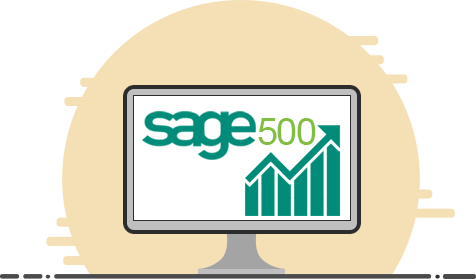 With Sage 500 ERP cloud hosting, your accounting operations leverage on various factors that add simplicity while enhancing the control of business operations. Ace Cloud Hosting offers custom cloud solutions that help you choose the server resources as per your business apps and add-on needs for automated information processing. You can even define the permissions for different departments and staff members within a few clicks to ensure that only the authorized person gets access to the relevant business information. Ace Cloud Hosting offers 10-days free trial without any obligation for you to test our cloud services before payment. To keep up with the changing business demands, you can customize your server resources and number of users anytime. Cloud solutions from Ace Cloud Hosting are compatible with any internet-connected device, such as – desktop, laptop, and tablet. Our support experts are available to assist you with any technical assistance that you may need. So, you save on your local IT. Independent parties have audited security practices implemented with our hosting standards as SSAE-16 Type II (SOC-2). Our hosting solutions are backed up securely to keep your business running continuously even in case of local hardware failure or crash.